The SURF Motion™ Open Media Platform is a flexible and integrated solution for building multimedia applications and services. With SURF Motion™, OEM, system integrators and VAS providers can rapidly develop interactive multimedia applications and deliver them to circuit switched or IP networks. With inherent support of video over IP and 3G-324M over TDM or IP, SURF Motion™ provides real time, hight density, best quality voice and video transcoding! Build for applications to support IP<->, IP<->TDM or a TDM <-> TDM solutions. A simple and powerful text based interface. The open interface allows to concentrate on the application logic instead of integrating hardware and software. Ready to go integrated hardware, software and networking bundle. Create the solution in the development environment of your choice. Choose different hardware form factors while writing your application once. 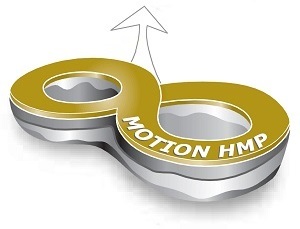 Providing high performance is critical for real time applications, Motion™ provides this capability by providing all media handling through SURF's high performance software running on high performance DSP's. Providing customers a simple, yet robust solution allows to meet changing market conditions. Transparent support for standard protocols such as ISDN and SIP. Allow unlimited boundaries when integrating with 3rd party components such as databases or external web services.